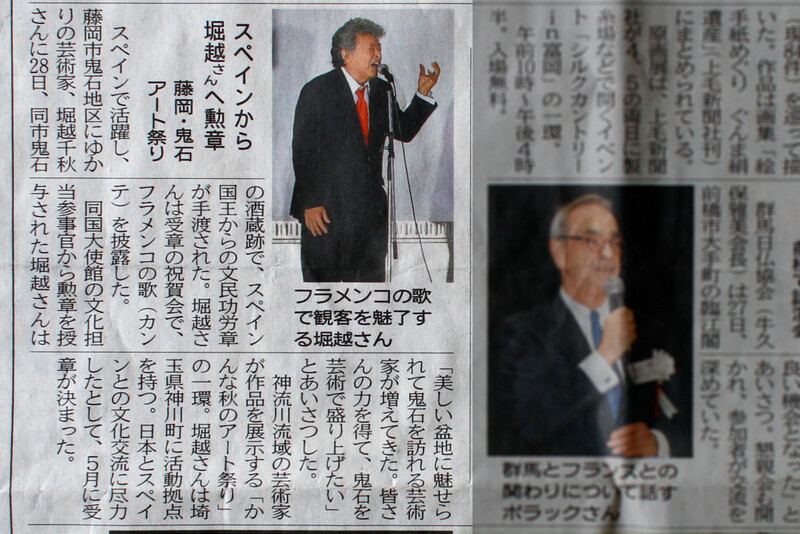 The first Kanna Fall Art Festival was held at the former Fujisaki brewery in September, 2014. The Kanna Fall Art Festival brings together Shiro Oni Studio artists with craftsman and artists from the Kanna area. This year’s even was in honor of local artist Chiaki Horikoshi’s medal of honor from the king of Spain for cultural contributions between Japan and Spain. The weekend festival had artwork work from 30 artists from 10 countries on display as well as musical performances on the Fujisaki grounds. Guests enjoyed live music, food, drink, interactive art of Barbara Tong, the Japanese tea ceremony with Fuyuko Kobori, and outdoor activities including two-person log sawing.